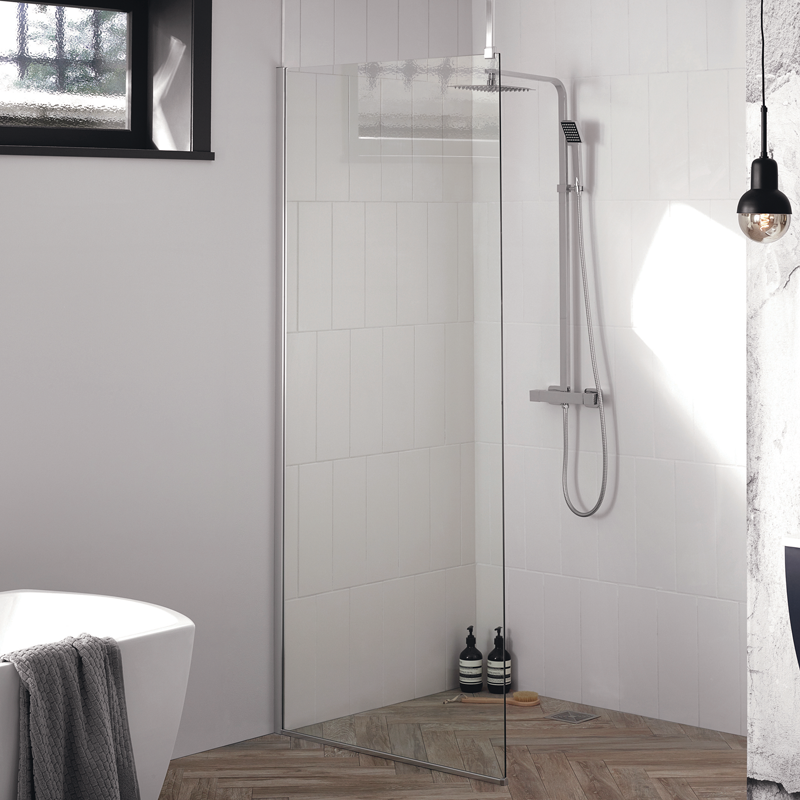 Available in a variety of sizes & colour finishes, the new 10mm Aquadart Wetroom glass panels can be used in many configuration for a truly tailored showering space. 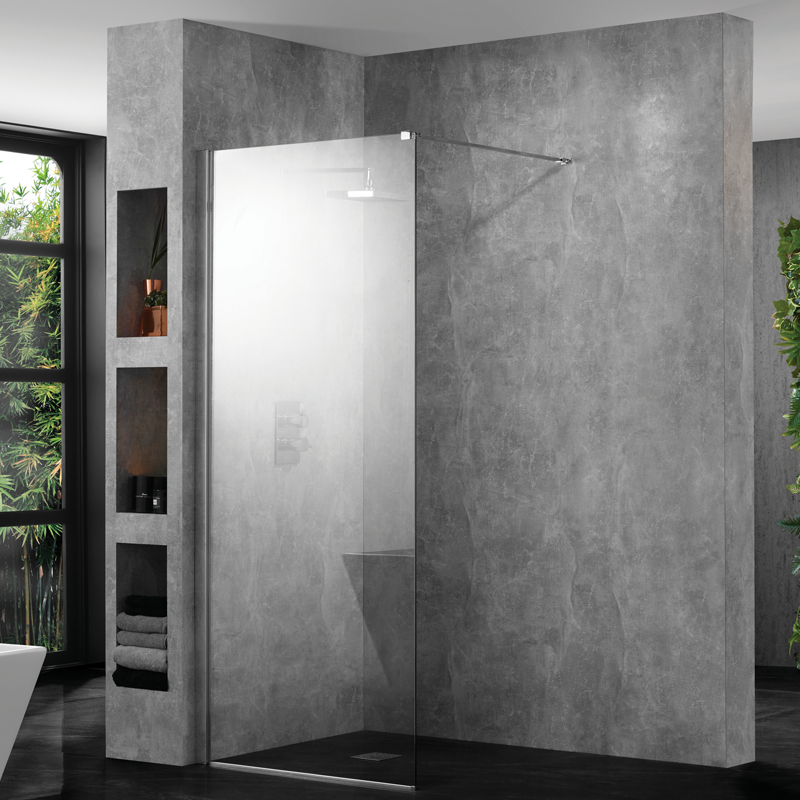 Available in a variety of sizes, the new 8mm Aquadart Wetroom glass panels can be used in many configuration for a truly tailored showering space. Wetroom Screens play a key part within your wetroom shower, There are many configuration available using the products that we supply. The key benefit of wetroom shower screens is that it retains they retain the water within the shower area. Installations differ from a single panel running along the edge of the wetroom area, You can alternatively add a flipper panel to the screen which enable to you open and close this during your shower, Typically they are 300mm long in length and stop a huge amount of splash in to the dry area. 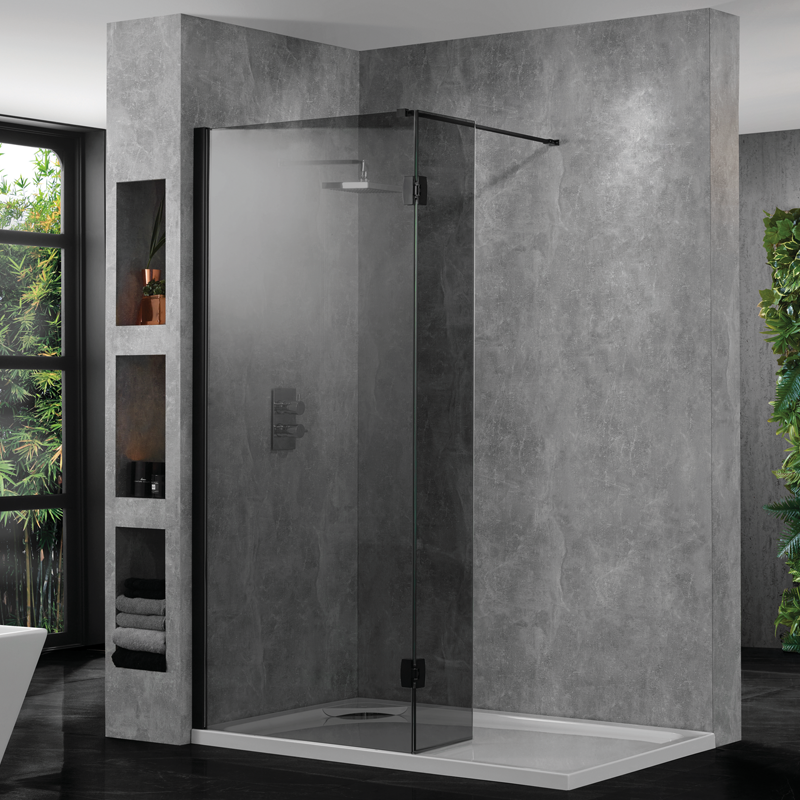 Wetroom Screens come in different glass thicknesses 10mm Wetroom Shower Screens & 8mm Wetroom Shower Screens, our 10mm Wetroom Shower Screens are customisable and enable different colours of Wall Profiles, Hinges & Bracing Bars.